Every year I create a family calendar. 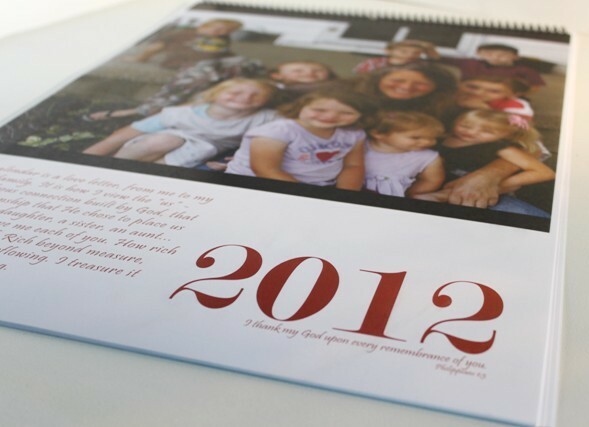 This year I changed it up and utilized photos I took of the kids (all 19 of them) over the past year and a half. Normally I use old photos of our extended family and share family history. This was a very fun and joyful project and it relaxed me as I started into the Winter quarter in January. This entry was posted in 2012 Winter, Personal Stuff. Bookmark the permalink.